This was incredibly easy and very tasty–two things I love in a week night recipe. Enjoy! 1. Preheat the broiler. * In a baking dish, stir together soy sauce, hoisin sauce, garlic cloves, honey, and sugar. ** Put pork chops in the dish, and turn to coat well. Marinate for at least 1 hour at room temperature or up to 24 hours in the refrigerator, turning occasionally. 2. Remove pork chops from the marinade, transfer to a pan, and broil, turning once, until just done, about 15 to 20 minutes. 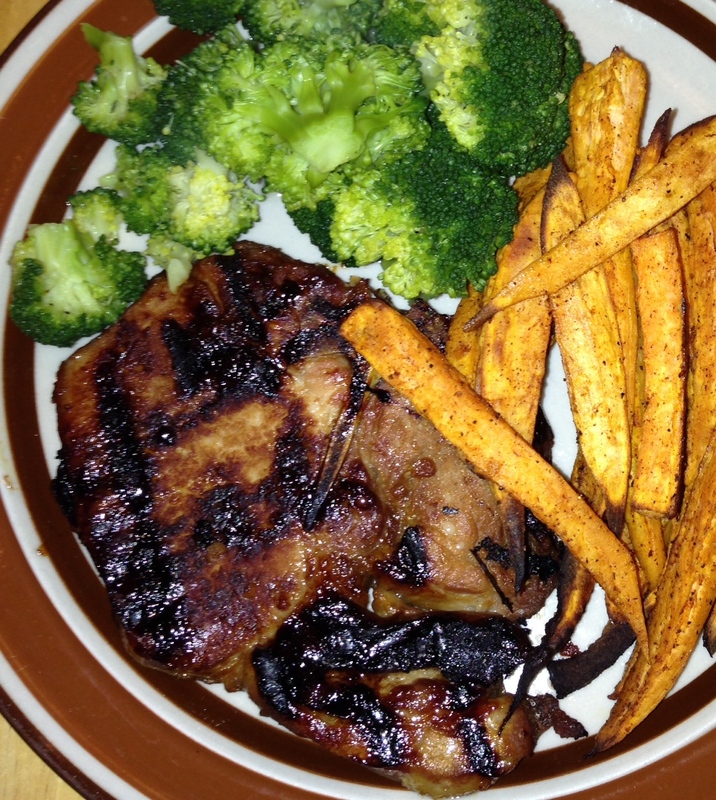 Tara’s Tips: *I grilled the pork chops on my George Foreman Grill–yum. **And I made the marinade in a Ziploc baggie and let them sit overnight–easy, no turning in a bowl and clean up was tossing the bag in the trash when I was done. Now cleaning the Foreman Grill was another story…but worth it.